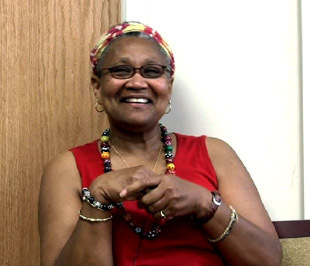 Interview conducted on June 24, 2011 by Dr. Diane Turner, Curator, Charles L. Blockson Collection. 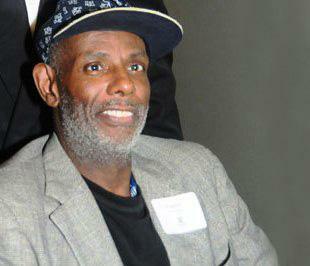 Bernyce Mills DeVaughn (January 10, 1948- ) grew up in Norfolk, Virginia before moving to Philadelphia in the 1960s. Ms. Devon participated in the NAACP protests at [[Girard College|1143]] between 1965 and 1968 and shares her memories of the demonstrations and the police response. Ms. Devon also details her experiences of racial segregation and discrimination in both the North and the South, as well as her recollections of Philadelphia chapter NAACP President [[Cecil B. Moore|1140]], the Reverend Dr. Martin Luther King, Jr., Father Paul Washington, and other prominent civil rights leaders. 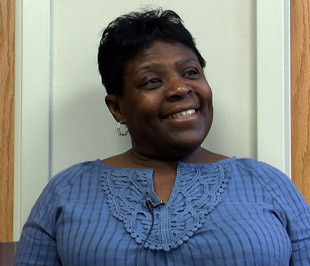 Interview conducted on June 22, 2011 by Dr. Diane Turner, Curator, Charles L. Blockson Collection. Mel Dorn (January 5, 1945- ) grew up in North Philadelphia and participated in the NAACP protests at [[Girard College|1143]] between 1965 and 1968. Mr. Dorn discusses his experiences at the protests and his memories of the Reverend Dr. Martin Luther King, Jr. and Philadelphia chapter NAACP President [[Cecil B. Moore|1140]]. Mr. Dorn also details the racial discrimination he has faced and his recollections of the 1964 [[Columbia Avenue|1142]] riots. 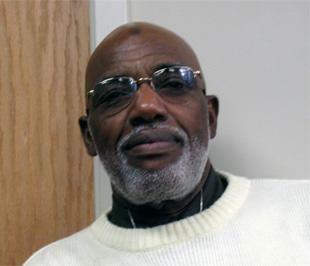 Richard "Sonny" Driver is the founder of Scoop magazine and reported on the NAACP protests at [[Girard College|1143]] between 1965 and 1968. Mr. Driver reflects on race relations in North Philadelphia and shares his recollections of the protests, changes to the neighborhood, Philadelphia chapter NAACP President [[Cecil B. Moore|1140]], and then-deputy police commissioner Frank Rizzo. 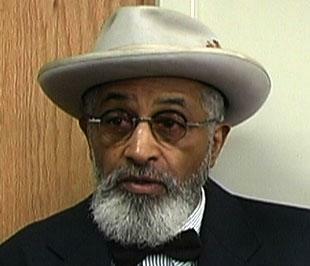 Mr. Driver also discusses his memories of the Black Power movement and the 1964 [[Columbia Avenue|1142]] riots. Karen Jordan (December 19, 1948- ) grew up in North Philadelphia near [[Girard College|1143]] and participated in the NAACP protests at the school between 1965 and 1968. Ms. Jordan gives her recollections of the demonstrations and the police response, as well as her reflections on the role of women in the modern civil rights movement. Ms. Jordan also shares her memories of Philadelphia chapter NAACP President [[Cecil B. Moore|1140]], the Reverend Dr. Martin Luther King, Jr., and other prominent civil rights leaders. 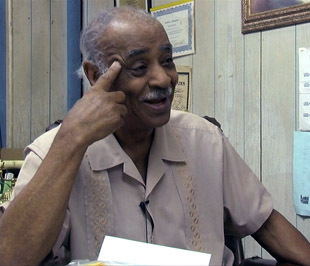 Interview conducted on June 17, 2011 by Dr. Diane Turner, Curator, Charles L. Blockson Collection. 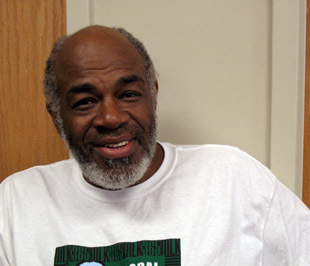 Dr. Kenneth A. Salaam (March 23, 1949- ), also known as "Freedom Smitty," was raised in North Philadelphia and was a member of the NAACP Youth Council under the leadership of [[Cecil B. Moore|1140]]. At sixteen, Dr. Salaam participated in the NAACP demonstrations at [[Girard College|1143]] and shares his recollections of the protests, particularly the interactions between demonstrators and police. Dr. Salaam also discusses the 1964 [[Columbia Avenue|1142]] riots and changes to the Columbia Avenue neighborhood, as well as his memories of the Reverend Dr. Martin Luther King, Jr., Cecil B. Moore, Georgie Woods, and other prominent civil rights leaders.